First off, I have to say that I got this for free from BzzAgent in exchange for my honest opinion! 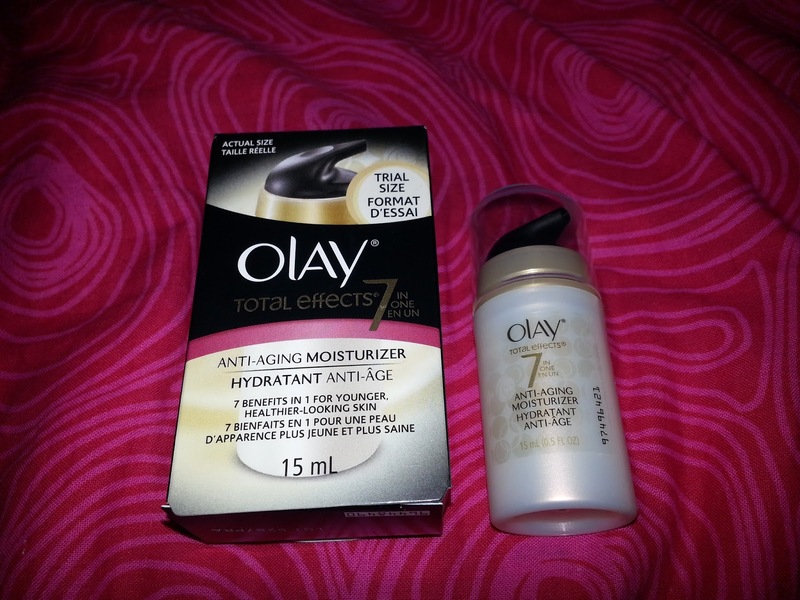 Olay is not a new brand, infact it has been around for many many years. My Great-Gran swore by "Oil of Olay" moisturizer. When this popped up on my BzzAgent list, I knew I had to give it a try. Now, I wouldn't say I'm "old" enough to have this moisturizer targeted towards my age group - but it never hurts to prevent or start a regime that will help my skin in the future. You're never too young to start. First off, I was a little surprised at how small this size was, and such bold claims it made! Younger looking skin in less than four weeks?! How! This product claims to visibly smooth fine lines and wrinkles, even skin tone, enhance brightness, minimize the look of pores, visibly reduce age spots, restore firmness and replenish moisture. Smooth on clean face and neck, for best results use daily. This has your typical Olay scent, and pinkish hue. I'm not really a fan of scented facial products just because I have sensitive skin and I never know what is going to burn when I use it, or make my skin more dry. One pump is more than enough to cover your full face. It just soaks into your skin immediately and provides an instant rush of hydration. It dries somewhat matte. I didn't have a chance to try makeup on top of it, but I have a feeling it wouldn't work for me, just because my skin just drank it in, I think my foundation would look scale-y. Anyone know what I mean? I think this moisturizer would be good for someone with normal to lightly oily skin. I don't find that it is hydrating enough for my dry skin, because after about half an hour, my skin feels like it needs more moisture. 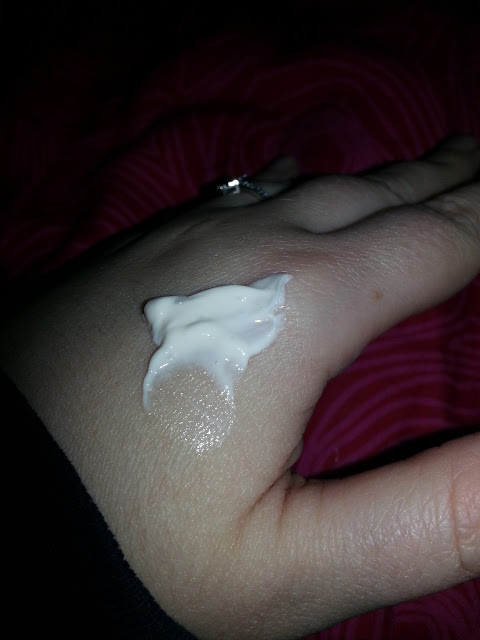 I prefer a much thicker cream, especially now that it is winter. Edit: I forgot to add that this TRIAL size, anti-aging moisturizer currently is not available to purchase, but it WILL be in stores February. Full-size, fragrance free, and SPF versions are available now!